Once the Carters found out they were expecting, they knew they wanted the dad, Lee, to play a major role in the gender reveal. When it was time to find out the baby’s gender, an ultrasound tech wrote the gender on a card that was sealed with the sonogram images and gave it to Sydney’s best friend. 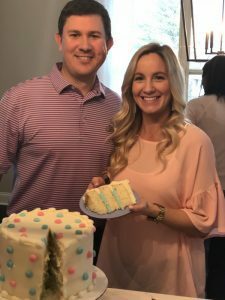 Exploding golf balls and a coordinating gender cake were ordered, and on the day of the gender reveal, Lee, an avid golfer, teed up the ball “and boom, there was an explosion of BLUE! !” Sydney says. “We were both very excited, and shocked, as we just knew it was a girl.” William “Greyson” Carter was born in June. 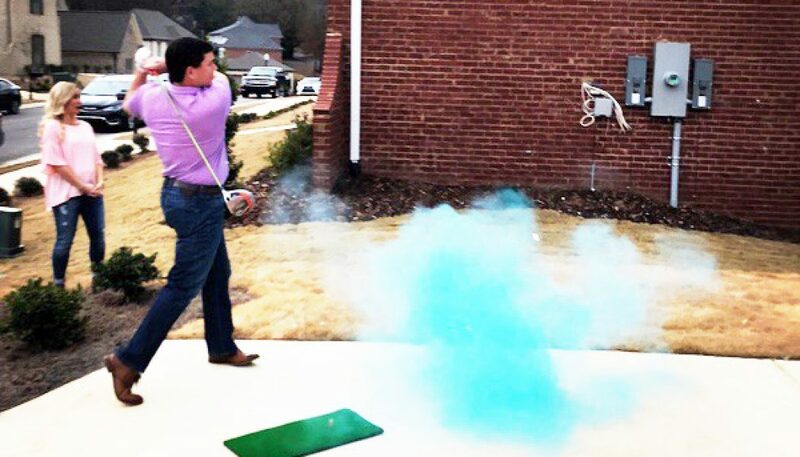 Want to recreate this golf gender reveal? Here are shopping lnks to help.